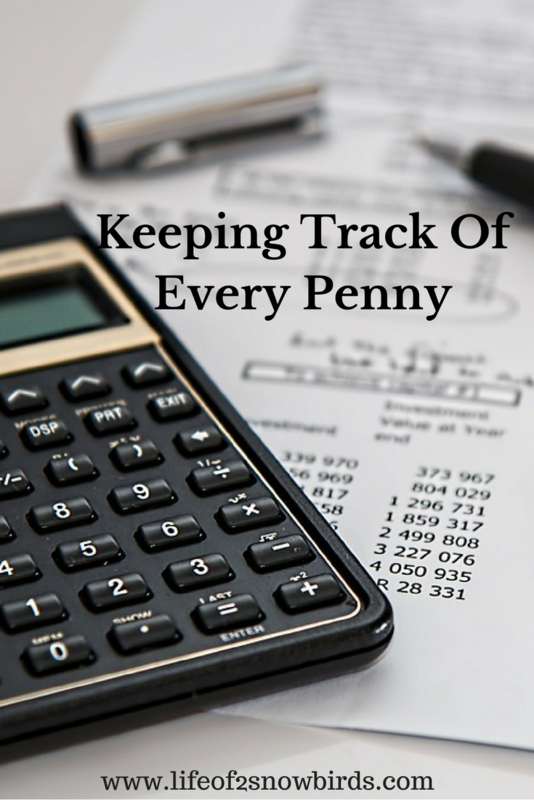 "Keep track of every penny." When I first heard this many, many years ago, I thought “How can I possibly keep track of every penny? If I happen to get change back from my dollar, it just gets stuffed into my wallet or gets thrown into the bottom of my purse. I have no clue how many pennies I have in the bottom of my 10 purses!" But I realized I was taking those words too literally. This little piece of advice was really what got us started on developing a very good budget for our family. We eventually had money for everything we needed which included the annual camping trip we took with our family and friends. Our budget may not work for everyone but we wanted to share it in case you just don’t know where to start when it comes to budgeting. Maybe there’s some idea we have that you haven’t thought of and it helps you in some way. Over the years our budget has changed. Life changes. The kids finally got part-time jobs and bought their own clothes. That left more money that could be spent on vacations! 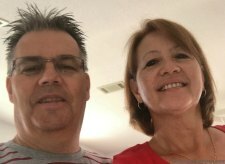 We retired, bought two homes and started living on a fixed income. Our budget really had to change then. But basically it is the same budget we have had all these years with only the allotment of money for each expense changing. We start with our net income. We never added in overtime or any other income that was not guaranteed every week. (This additional income, if any, went into our retirement fund). So first we figure out how much needs to go into our checking account each month. Anything that needs to be paid on a regular monthly basis (or quarterly or annually), and are very high priority, gets paid with money that goes into our checking account. Our taxes are annual so we divide that expense by 12 months, our Florida HOA needs to be paid quarterly so we divide that expense by 12 also, etc. So the funds we need to pay taxes, HOAs, electric, phone, internet, water and home, life and car insurance gets taken from our net income first and goes into our checking account. That leaves us to decide how to divide the remaining income. The remaining income goes into our savings account and the following expenses are paid with funds from savings. We decide how much we want or need to allocate to each expense. We start with the obvious, food and gas for the car and end with an allowance for ourselves for bingo and casino fun! Inevitably, cost of living will rise and our income won’t so our allowance will get smaller as the cost of food and gas gets larger. If we saved on food for the month (Look for a future post about ways we save on groceries!) we will take the surplus and add it to the vacation fund. Also, if we see that our entertainment funds are dwindling, we will eat out less and eat in more. So basically, these are expenses that have more wiggle room. Going from high priority to low, our list looks like this. Food, gas, gifts, church (donations), dentist/glasses (had to add this when we lost dental and optical insurance after retirement), car repairs, household items, Christmas, misc., (entertainment, etc) clothes, vacation, cruise (We have been saving for a European cruise for years. We are finally going to take that cruise next September. We will post about our budgeting and planning for it soon.) car payment*, allowance, savings (any funds that haven't made their way into any other category goes into "savings"). We have now taken all of our pennies and put them where they belong. We know where all our pennies are! *Right now we don't have a car payment so it's low priority but we still have a car loan fund. When we finished paying off our old car loan, we found that the money we allotted every month for paying the loan was not needed somewhere else in our budget. We kept the "car payment" funds going and saved this money and were able to buy a new car. We used the money we saved and money we got from the trade-in on the old car and wound up not having to get a car loan! So we will keep car payment in our budget as long as we don't need it anywhere else. We keep track of what is going on in our savings account with a chart we came up with that we keep in a binder. 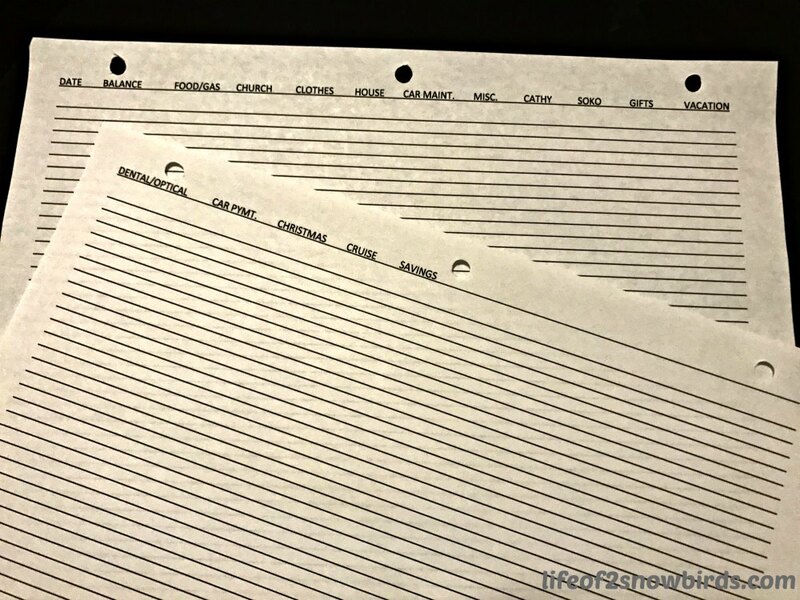 If we were computer savvy we would have this in an Excel spreadsheet, but we are not! Basically this is what our budget plan is right now. Hopefully social security will still be in existence when we are ready to take it and we will revise our budget for sure then, but usually we just take a look at it once a year to see if we need to make any changes. What are your budgeting strategies? We would love for you to share them with us. Very cool, so happy to hear you'll be taking that European cruise, September will be here before you know it! Our budget strategies have included over the years: living below our means, living off of one income and never paying full price for anything. Never paying full price for anything is a really great budget strategy for sure! Some really useful information here as we all really need a budget don't we? I fear in Australia we all live far beyond our means and just following a budget would make life much easier to save for the 'extras' we might want in life. Thanks for sharing with us at #overthemoon link party. I've pinned and shared. Have a lovely week and see you at the next link party. Thank you so much for sharing your thoughts and for having me at your link party! Very smart, Thanks for sharing at the Dishing It & Digging It Link Party. We loved reading it. Thank you so much for having me! Thanks so much for everything! This is my first blogging group ever. I am so excited to "meet" you and the other grandmothers! For whatever reason I have never followed a budget, well not one on paper. We are very blessed in that when I retired I got to keep our eye and dental insurance. Is your European cruise a river or ocean cruise? We want to do a river cruise next year husbands health permitting. Ours is an ocean cruise but hear that the river cruises are wonderful because of the smaller ship and the smaller ports they can get into. I hope that you will have a great time on your trip next year! Thanks again for featuring my post at your link party! !